As they say “marriages are made in heaven but solemnize on earth”, we unite couples into the unbreakable bond of marriage without the cultural or superstition barrier at Arya Samaj Mandir. We support inter-caste, inter-religion marriage, love marriage and court marriage etc. Remember, Arya Samaj marriage is an absolutely legal procedure with registration. It cannot be challenged by any court of law. 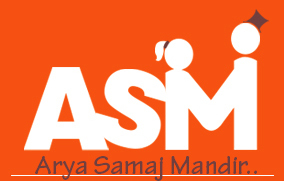 At Arya Samaj Mandir, we help people in executing the procedure peacefully in just 1-2 hours. Our procedure includes no time consuming or elaborate rituals. May be rites are few but rich in significance and the vedic mantras are chanted during the wedding. Pre/post wedding rituals like ladies sangeet, mehndi, Brahmbhoj, Chuda and Nath and reception can be assembled by traditional practices of bride and groom. In case of court marriages, we offer registration certification from (Name of the court) by following Hindu marriage act 1954 which justifies couple as a legal husband and wife. Our professionals feel highly privileged in offering services like pooja path, hawan, bhoomi poojan, Griha Pravesh, Gayatri path, Mahamrityunjay path and much more.